Panasonic has released a new range of 4K professional displays, with a six model series providing high picture quality, flexible usage, and easy installation. The entry class displays, available to purchase from October 2018, range from 43 to 86-inches with portrait and landscape capabilities, each outputting at 350cd/m2 brightness. Slim and stylish in design, the 4K range combines high image quality with a narrow bezel (between 11.9 to 15.2mm), maximising the screen area in relation to the display’s physical size. 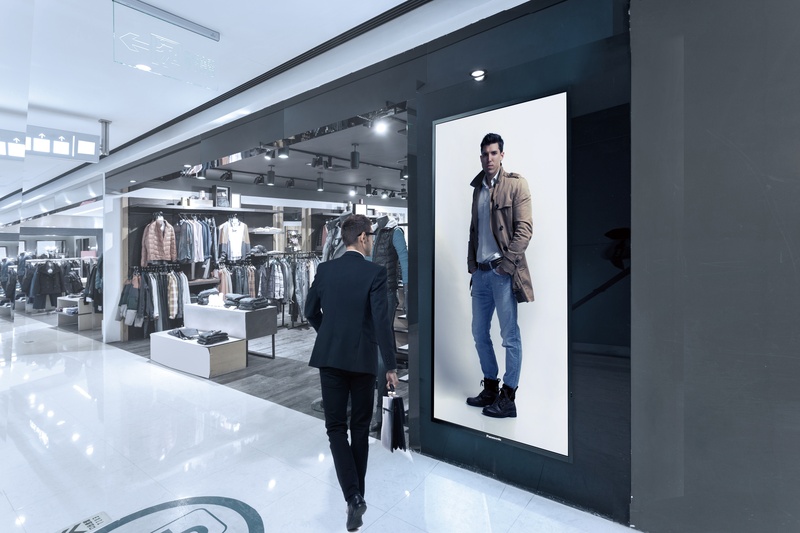 The displays are ideal for shopping centres, showrooms, meeting rooms and classrooms, providing high colour quality and various functions for flexible usage. The two largest panels (86 and 75-inch) feature In-Plane Switching technology, which maintains colour accuracy and clear visibility when the screen is viewed off-axis. To support the latest 4K and Full HD video content and increase connectivity, all the displays have two HDCP 2.2-compliant HDMI terminals to play DRM-protected content, while non-4K sources are also automatically compensated to improve the quality of the image. Like all displays in this series, the EQ1 features a VESA-compliant mount with a HDMI-CEC function which enables the remote control of the unit to interlock control between different devices. The input detection function also helps to enhance the effectiveness and efficiency in collaboration and meeting rooms with smooth input switching and automated connect and disconnect available. Single or multiple displays can be monitored and controlled using Panasonic Multi-Monitoring & Control Software. This free software includes basic control capabilities, but it’s possible to expand its functionality by using Early Warning Software for networked displays. With failover and failback, the system will also switch to alternate signals if the main video and audio is disrupted, with a return to the main signal once it’s restored. This increases the reliability with easy set up and safe operation, making it well suited to retail, schools, and offices.